Over the next week, many of my colleagues will be heading back to school to get ready for another academic year. They will be busy making long range plans, decorating bulletin boards and organizing classroom supplies. Each year, the aim is to provide a welcoming environment for students that is cozy yet conducive to learning and collaborating with their peers. One of the key ingredients in doing so is organization. Students must be able to find what they need and have easy access to these supplies. This September, Hilroy brings you a variety of classroom organization supplies to help create additional storage space and keep everything in its place, just like the Activity Hives trio featured above. Hilroy's Activity Hives come in a 3-pack that can be used separately or linked together. They each have an overhang that clips onto other hives, allowing you to be creative by linking them in a honeycomb formation or in a straight line. 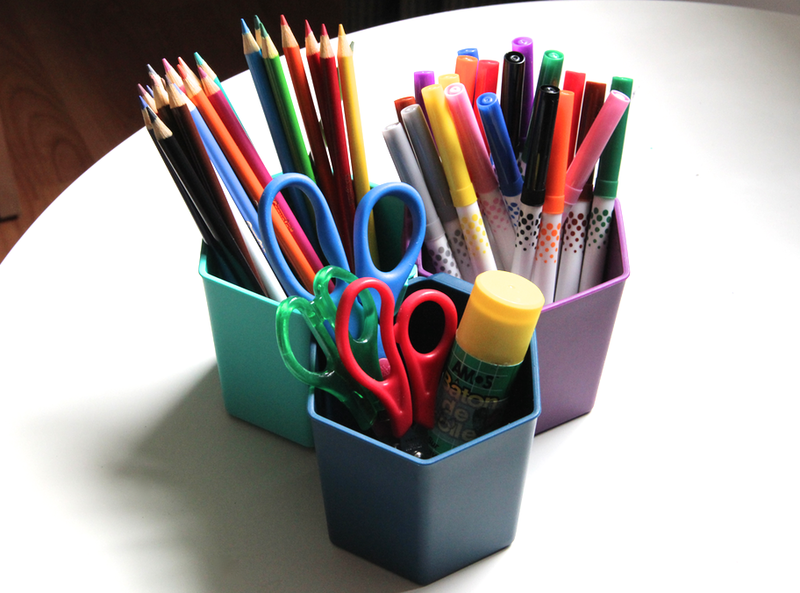 They have ample room to store several pencil crayons, markers, scissors, glue and much more. 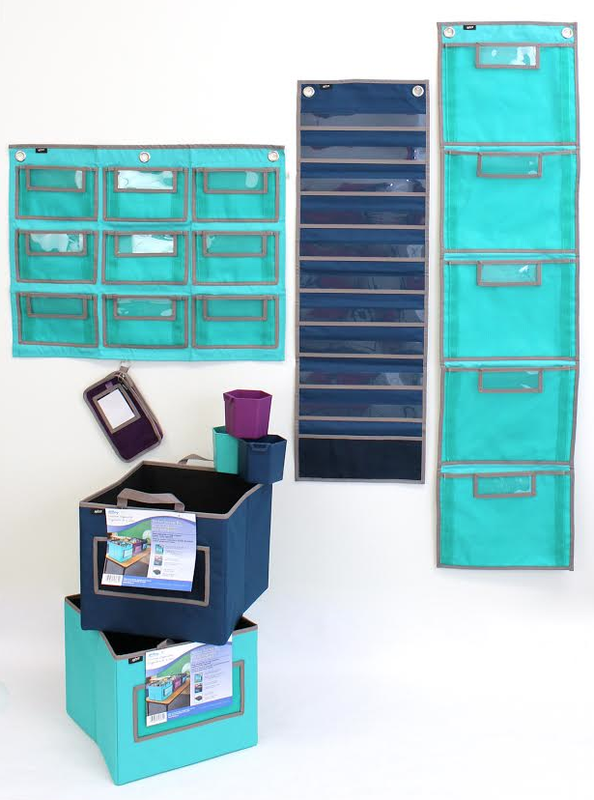 Each pack comes with a teal, blue and purple container that match Hilroy's collection of classroom organization supplies, such as their Class Supplies Wall Storage. Running out of table top space to store everyday supplies? Hang them on the wall using this handy wall storage solution. Apply some Command damage-free hanging hooks to the wall or use heavy-duty magnet hooks on your blackboard or whiteboard. The class supplies wall storage has nine gusseted see-through mesh pockets so students can easily see where to return supplies. It also has heavy-duty grommets and durable fabric which means you can use it year after year. You can easily customize it with labels using half an index card. 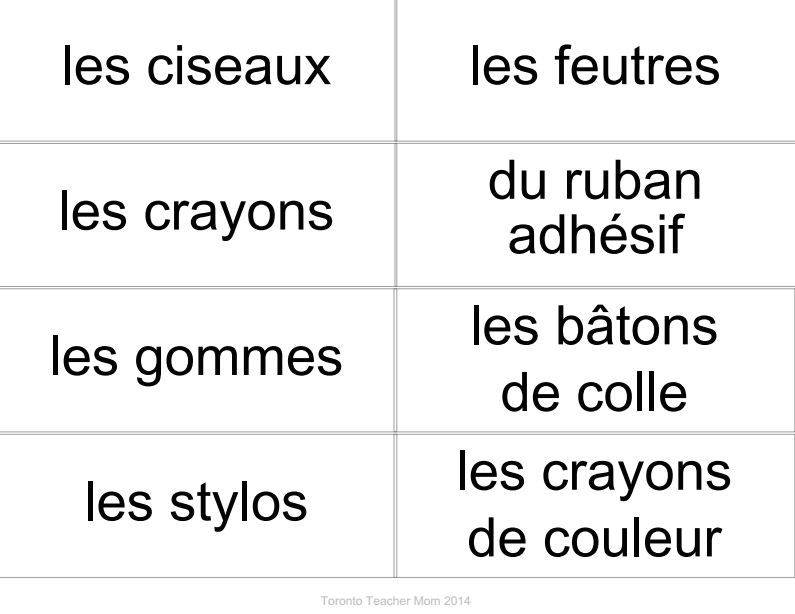 I chose to design my own classroom supplies labels in French and printed them on cover stock. I have uploaded the file I created should you wish to print off a set or edit the labels. Just click on the thumbnail below to access the file via Google Drive. Looking for additional storage solutions? Hilroy has a set of supply pouches in mesh that all you to see the contents. My daughter is planning on using the large supply pouch since it will lie conveniently flat inside her desk. I plan on using the small supply pouch for my whiteboard markers. 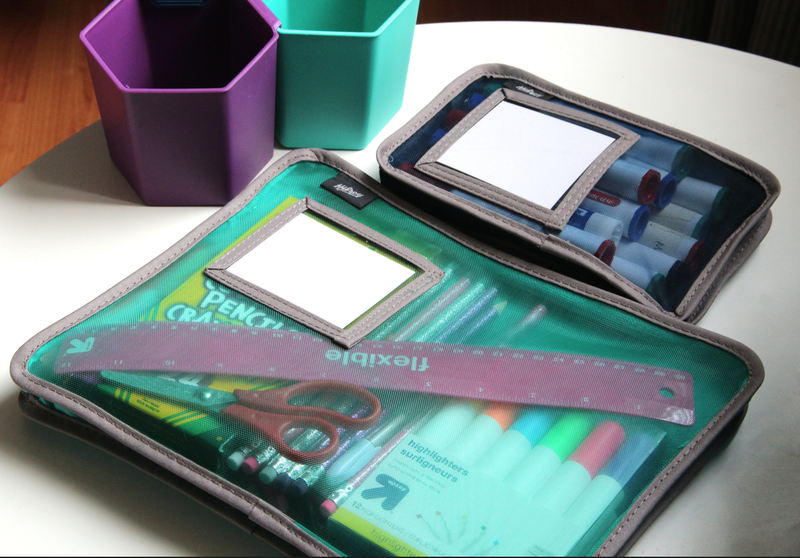 For more classroom organization supplies from Hilroy, head to your nearest Walmart or Target and check out their Classroom Wall Pockets with five gusseted see-through mesh pockets which you can customize by weekday, subject or period with an index card folded in half. Also, their Classroom Wall Scheduler is a great solution for keeping students on task. It comes with ten pockets and double-sided dry erase cards for you to record the daily schedule and a mesh storage pocket at the bottom to hold extra cards and supplies. This giveaway is open to Canadian residents only and you must complete the Rafflecopter form below for a chance to win. I would love to win this for my sister who is a teacher and would get good use out of this prize. I would love to win this because my classroom could definitely use some new organization supplies. 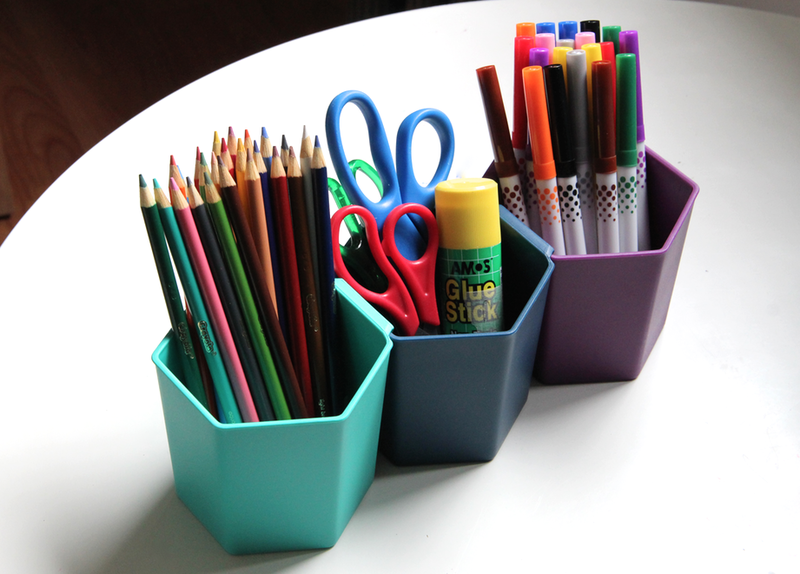 Great way to keep organized! I'd love to win this for my bff who is a teacher because this would save her money on supplies! love to win this for a good teacher friend to help organize her !!!!!!!!! With the ongoing strike in BC, I may have no choice but to homeschool. I like things to be organized, and this prize pack would be helpful. I would like to win this for my dayhome, this would help with organization! This would be perfect for my SIL, a special-needs teacher. This would be great for my sister and her kids! I have 5 children, 3 of whom are in school, and this would be great to organize things at home for their homework :) Thanks for the chance! 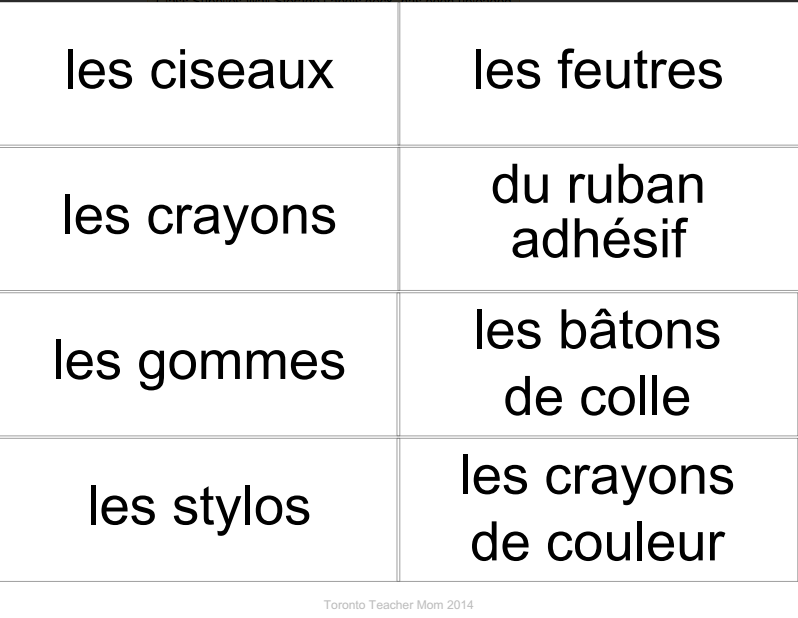 I am back in the classroom after 7 years, I could definitely use the materials to set up my new classroom. Thanks for the opportunity! I would love some help getting organized! My sister is a teacher and would love this! It would all help to organize everthing for the kids! My sister is a teacher! This would be perfect for her to start off another year! My sister is a principal and my nephew and sister-in-law are teachers so I'd love to be able to pass on some awesome supplies for their classrooms. There are a couple of items in here I wouldn't normally buy, but it would be neat to have them to try. I would like to win as we could really use the organization around here. My classroom NEEDS all the products you mentioned! Thanks for the chance! I would share this with my kids' classroom teacher and use a couple of the items for my home office. I run a day home and these organizer would be awesome! I would like to win because we needs lots of organization! This is exactly what we need to get organized! My sister is a Teacher and I would love to gift this prize to her for her classroom. I have two kids starting school this year and I don't have everything they need yet! I need some organization with my child's toys and books and this looks ideal. My goal this year is to keep my classroom organized. This would be helpful. This would be great for organizing my classroom! I would really like to organize a 'homework' zone in the house, but need somewhere to start. I think these would help get me motivated! 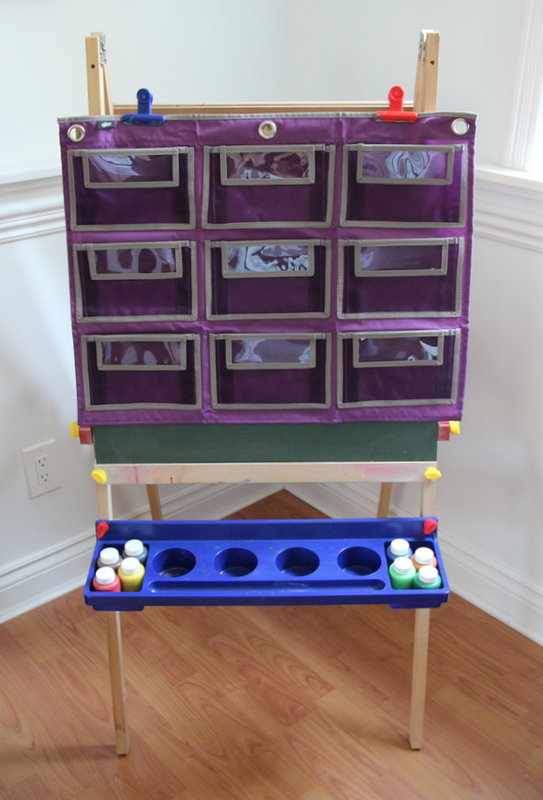 This would be great to get my boys and I organized! Organization!! We are in desperate need of organization!! I'd love to win there for my daughter, she'd love them! I would love to win to help both my kids be organized. They lack organization skills and I have been struggling to get them to take it all in. This would be a great solution to help figure it out for them and myself. Never mind organizing a classroom, I need to just organize the homework area and this would help a great deal. What wasn't used at home would definitely go to my daughter's teacher. I would love to win because this is exactly what we need for the girls homework area! I would love to win this and give it to my son ,who has recently gone back to school. I'd like to share these with my sister who is a teacher! I'd love to win because my son has Autism and our routine is all about labels, schedules and organization! I'd love to win and get organized! Thanks for the opportunity! I would love this as I just returned from a maternity leave and I need to get reorganized and my stuff could use a serious update! I would give this to my daughter's teacher who teaches the grade 1/2 split and she's so sweet. I would love to win this for my best friend who is a teacher. Right now my kids art stuff at home is a disaster - we have no storage for it. This would be great to get us organized! I'd like to win because this would help me organize my office space really well!! 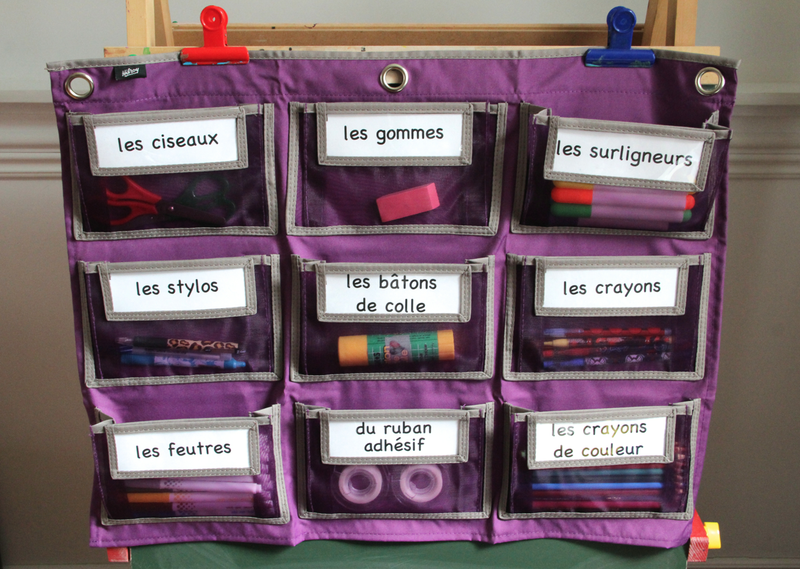 I would like to know where to buy this Classroom Organization Supplies Kit. Thanks!